Watch glass artists Peter Drobny and Deborah Czeresko use ice to blow hot glass, enjoy ice wine tastings by regional wineries, and listen to music by Hank Roberts and Wiggy Dog Boy. 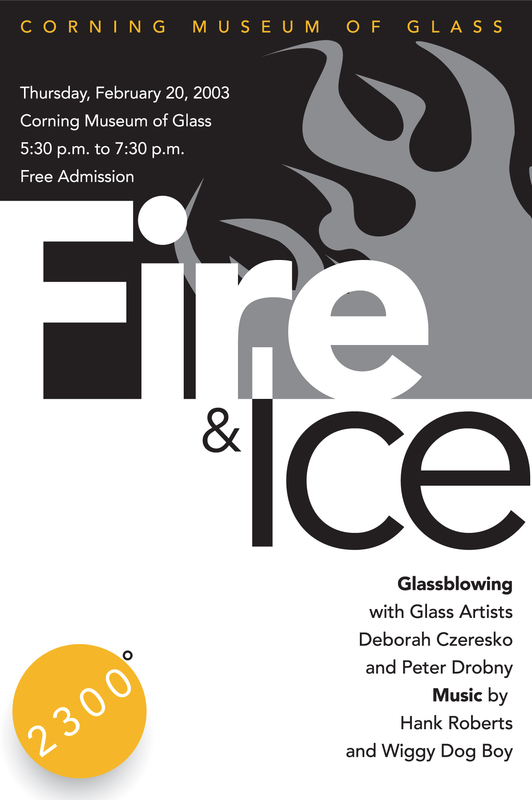 At Fire and Ice III, glass artists Peter Drobny and Deborah Czeresko will blow glass using tools made of ice. Hank Roberts and Wiggy Dog Boy will play songs from their new recording "The Truth and Reconciliation Show," and Groovin' Lumens lit up the evening with a psychadelic light show.